This model is named after its unique flair and contemporary style. It offers full size game play with a 54 inch length playing surface. It features a sleek and arched cabinet design from the ground up. 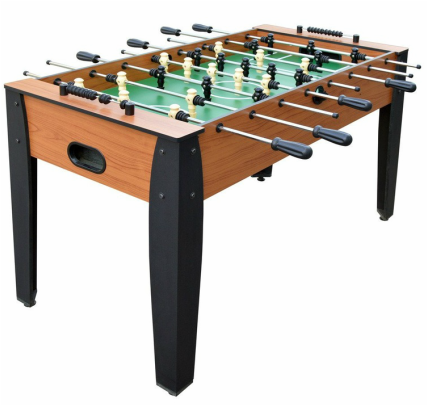 The table legs are shaped like panels that provide full support and strength for those intense games. The cabinet design is made out of a certified MDF wood material and the cherry and black melamine cabinetry combine to create an elegant looking table that plays great. This is a perfect table design for older kids. 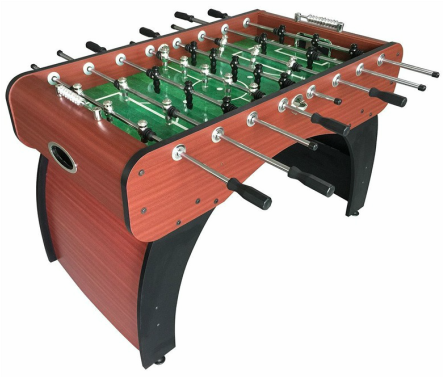 Includes two automatic ball returns, manual scorers, adjustable leg levelers and four quality foosballs. This table is priced at around $300 US.